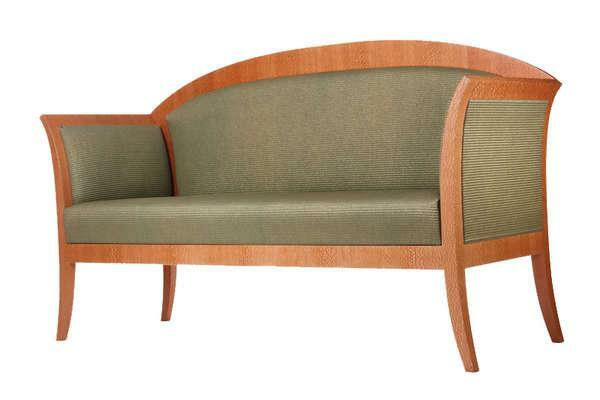 Light Sofa in Viennese Biedermeier style, ideal for kitchen- and entrance areas. Backrest designed as a frame, which is veneered. Curved feet made from solid wood, friezes are connected with wooden joints and also veneered. Upholstered with a 3-layer upholstery material for best seating comfort. Handcrafted.